As a passionate Houston Rockets fan, I generally find my opinion in sync with the majority of others like me. 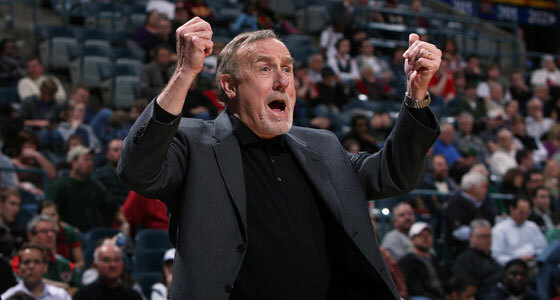 So why is it that I feel no angst about the Rockets parting ways with coach Rick Adelman? After four years in Houston, it’s clear Adelman could not have done a better job coaching this team. He was lured here by the tantalizing bait of Yao Ming and Tracy McGrady, yet he had them together a whopping 72 games (47-25 record), and never once past February of any season. It didn’t stop him from having success. He was at the helm of a team that won 22 straight games. 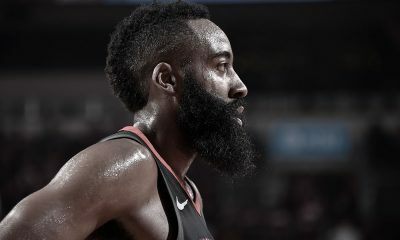 In the past two seasons, he had no superstar talent yet managed to guide the Rockets in both years to winning seasons despite going to battle in the war zone known as the Western Conference. Yet, even with the overachieving results, this no longer felt like a match. Adelman, an established, Hall of Fame coach, was hired to fit in with Houston’s star duo. T-Mac’s career with the Rockets feels like a decade ago. Yao has all but checked out. The conditions under which Adelman was hired no longer exist and priorities have changed. This reminds me of Ron Artest hitting free agency days after it was clear Yao was going to miss the entire next season. Artest’s return to Houston was iffy to begin with, but that sealed the deal and the same applies here. Adelman was brought in to elevate a team from consistent playoff-qualifier to consistent title-contender and that’s no longer the situation. He should coach a team with the talent ready to contend — and they would be fortunate to have him. As is, the Rockets are not destined for trophy-hoisting and brass knows it. Look no further than what happened in February. 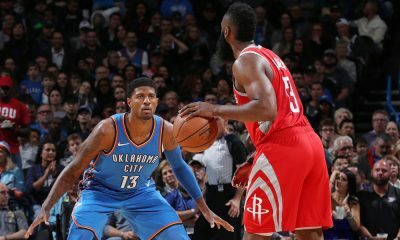 In the middle of a tightly contested playoff race, the Rockets traded a valuable, win-now contributor in Shane Battier to Memphis, their chief competitor for the final playoff spot, at a time when the Grizzlies were weakened by the injury to Rudy Gay. The Rockets? They got a future draft pick and an 89-inch stick in Hasheem Thabeet. The Grizzlies ended up beating out the Rockets for the final playoff spot and Battier hit a big shot to beat the Spurs in game one of their series. If you’re upset Adelman isn’t coming back, you should be livid about that. 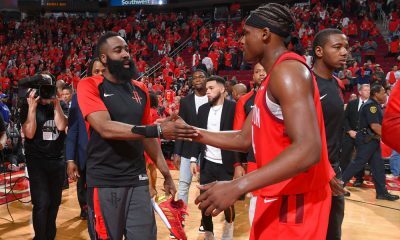 After all, if “winning now” had been Houston’s primary concern, this would have classified as cardinal sin, but instead it serves to illustrate how a ready-to-win coach and a looking-to-build-a-contender front office don’t always have interests that align. A month or two into the season I spoke with one reporter who told me that Alexander had to be talked out of firing Adelman. 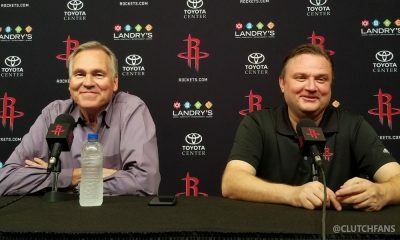 Much has been made the past few months about the Rockets owner being ready to part ways with his coach. 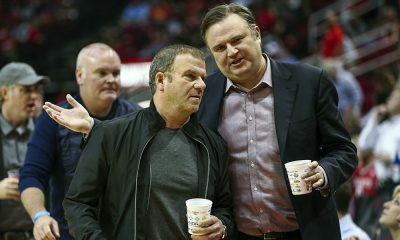 Only Alexander, God and Richard Justice know if this was primarily a personal decision for the Rockets owner, but there were other signs of a disconnect between the coach and the front office. Adelman had no room for Terrence Williams. He wasn’t happy about the Thabeet trade. He wasn’t a fan of a statistics-based approach. He wasn’t one for radio shows or marketing appearances. In a nutshell, the Rockets were paying a premium for a coach who wasn’t seeing eye-to-eye with the Rockets’ plan for the future. 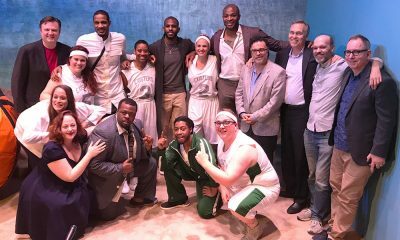 I attended the Sloan Sports Analytics Conference in Boston in March. Boston Celtics assistant GM Mike Zarren talked about how frustrating it is to acquire a player only to have your coach sit him on the bench the entire time. I immediately thought of the T-Will situation in Houston, and glanced over in Morey’s direction in the front row. The Rockets didn’t make the playoffs and logged no real development time for a player that cost them a first rounder. That’s a disconnect. 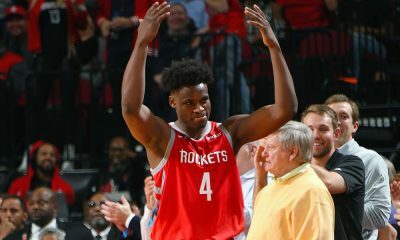 Stan Van Gundy and Mike Brown are interesting candidates, but my hunch is the Rockets will place a priority on finding a coach that will work in harmony with the front office, possessing these types of qualities: young, hungry, open-minded, innovative, focused on player development and not turned off by basketball analytics. I’m excited that the Rockets recognize that they need change. Back-to-back seasons of 40-ish wins was a coaching accomplishment by Adelman, but it wasn’t in the Rockets best long-term interest. Falling short with the “9th seed” and being handed the 14th pick of the draft is no way to make progress. This core is not good enough and moving forward the Rockets should be focused on developing, building, trading. 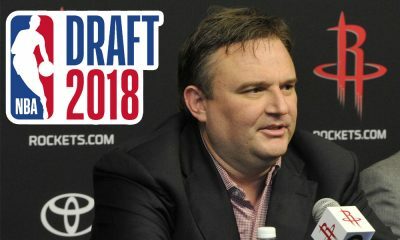 Morey said something today in the press conference that I thought was straight wisdom. “The mistakes that are done across the league are [by] teams that stabilize on a foundation that wins you games and maybe preserves jobs but they’re not making the tough choices, with either players or in other areas, that get you the improvement you need and the change you need to get to where you want to be,” he said. Would you feel differently if McHale had been a Rocket?